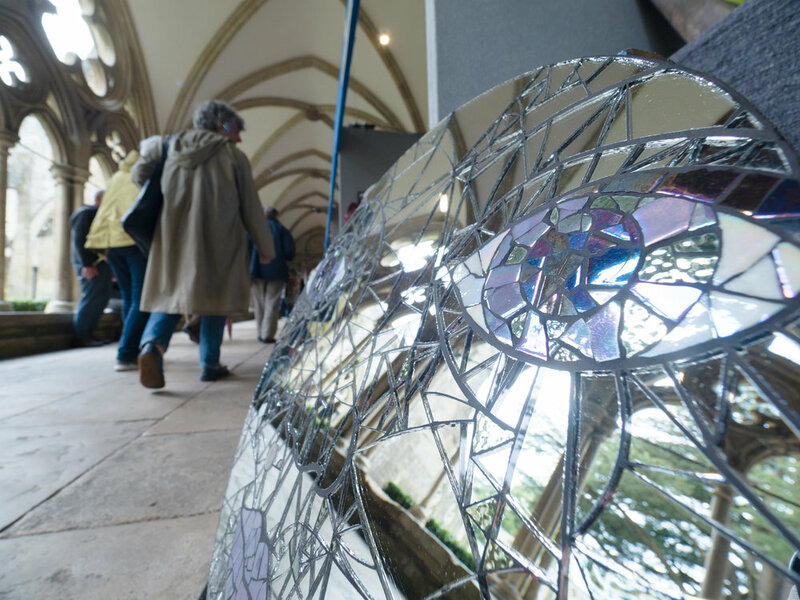 Firstly, a big thank you to those of you who visited and exhibited at the Cathedral’s Contemporary Craft event in September. It was uplifting to see such a high standard of work on show in a building that is itself a work of art and to observe the collaboration, sharing and teaching that took place. We have now done all the final reckoning and the analysis of the feedback from visitors. It was a huge success in terms of people’s enjoyment and the inspiration they gained from the makers and sellers themselves. 83% of those who responded and rated the event said it was either good, very good or excellent which is great. The vast majority of responses to our questionnaires talked of how inspiring the makers and demonstrations were and the high quality and range of crafts that were on offer. This is exactly the positive response we had hoped for and was our ultimate aim in hosting the event. Feedback from exhibitors was also positive with some huge successes in terms of sales and, inevitably, a few cases where the show didn’t deliver quite what others had hoped. All the responses have been useful and will inform how we do events like this in the future. In November 2018 the Christmas market will be moving, in part, into the Cathedral Close, which means that there should be plenty of opportunity for us to work with the Business Improvement District and craft community. We are incredibly excited about this new development and what it could mean both to the City and its makers. However, 2018 is also going to be a very busy year for the Cathedral as we mark the end of the commemoration of World War 1, as well as host some large scale events and art exhibitions. So, regretfully, we have concluded that we simply don’t have the capacity to run a craft show in 2018. It’s not a decision we have taken lightly but we are a relatively small team and have to recognise our limitations. Looking forward, we are talking to the Rotary about other potential collaborations in the meantime and there is every opportunity to think again for 2019. Naturally we will keep in touch with you about any future developments. So from us all at the Cathedral, thank you again for your support - we wish you all the best in 2018! We are currently putting together content for the free A5 colour booklet listing information about all our talented exhibitors together with full details about our Craftivate workshops and demonstrations. Each of the 5,000 + visitors expected at Salisbury Contemporary Craft 2017 will receive one of these programmes when they arrive at the event. Limited advertising space is available in the guide and places will be allocated on a first come first served basis. Bookings will close at close of play on Tuesday 22 August and finished artwork will be required by Friday 25 August 2017. If you are a Salisbury business that would like to offer a discount or run a promotion for visitors to this event please email info@salisburycontemporarycraft.com by Wednesday 23 August 2017. 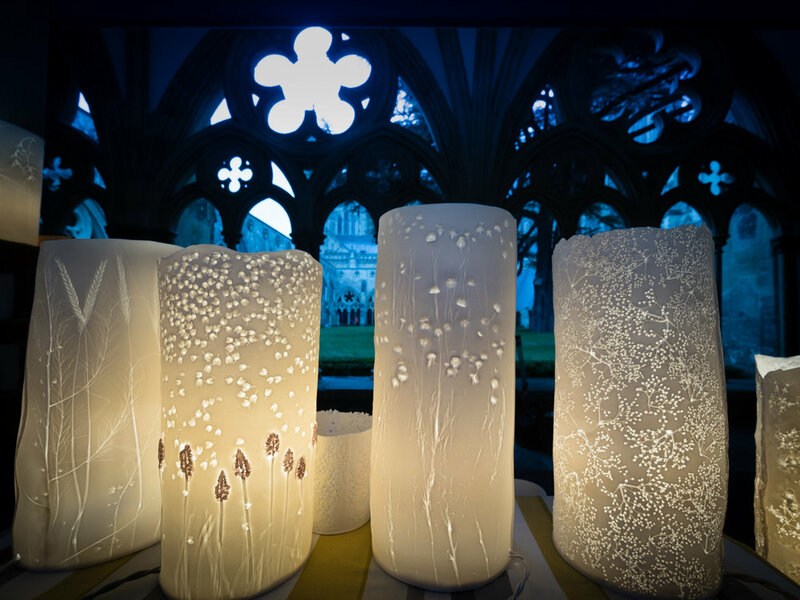 This year’s new look Salisbury Contemporary Craft opens in the Salisbury Cathedral on Saturday Friday 8 and Saturday 9 September, showcasing around 50 stalls selling the very best of contemporary craft from across the south west and beyond. Entry is free, browsing is welcome and it all happens within the heavenly Cloister surroundings. For those wishing to get hands-on or to learn the tricks of the trade from experts, the Craftivate programme supported by Arts Council England will allow visitors to observe the techniques used by these superlative craftsmen up close, and to study their finished articles. In the North Transept, workshops will be available for those wishing to try their hand with some exquisite craft skills alongside the experts. Bookable online from early August, workshop places are limited so spaces must be reserved ahead of time. Details of workshop costs and crafts to be featured will be announced next month. 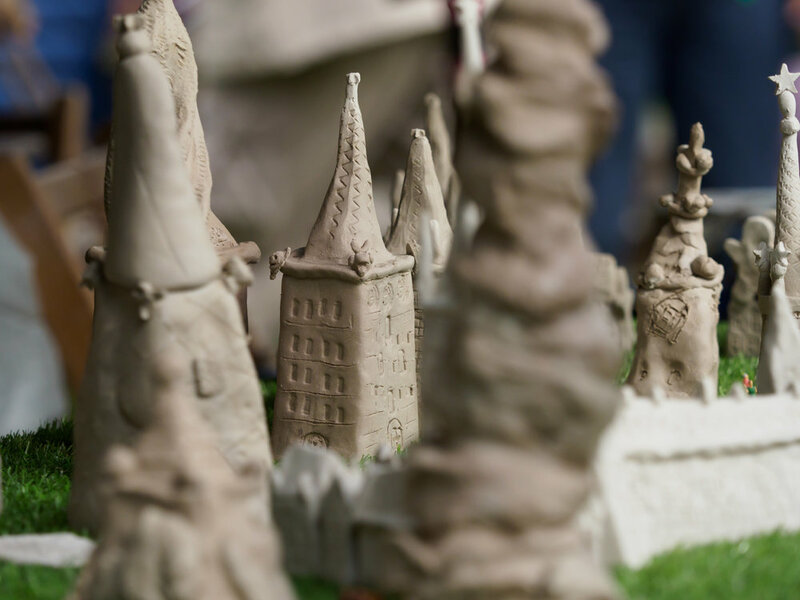 There are also plenty of free opportunities to find out more about creating and making from working artists representing Plain Arts Salisbury, who are giving demonstrations in a marquee behind the East Cloisters. The Cathedral’s own stonemasons will be on show in the inaugural Contemporary Stone Challenge, in which members of the Works team will be competing to create contemporary designs, trying out innovative ways of working with the stone. The Challenge takes place in the picnic area behind the Cloisters. Other free events include a Craft Circle where visitors can watch artists in action, with demonstrations taking place between 10 – 4.30 each day. There’s also a programme of free story-telling between 11.00 and 12.00 and 13.00 and 15.00 beneath Queen Victoria’s cedar trees in the Cloister Garth and music out on the west lawns. 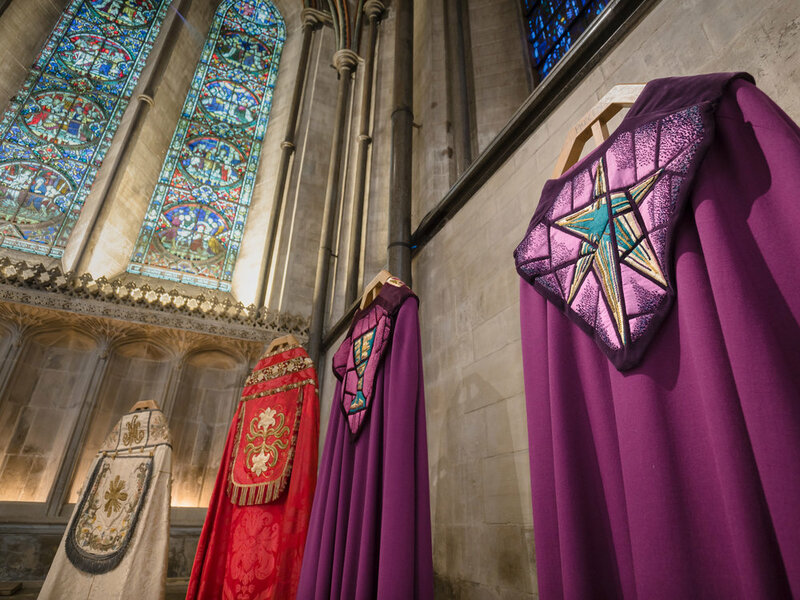 A special exhibition of the Cathedral’s own contemporary treasures, including beautifully embroidered altar cloths and copes, will be open in the Trinity Chapel and specialist Cathedral Guides are offering Contemporary Walk-and-Talk options to Salisbury Contemporary Craft and Cathedral visitors as a one–off alternative to the floor tour. Visitors should meet their guide inside the Cathedral by the information desk along the South Nave Aisle. Walk-and-Talks are offered on a first-come first-served basis and are free, though a Cathedral Donation is requested. For those thirsty for information, a free Human Library will operate on both days in the Cathedral Cloisters between 12 – 3pm. No physical books in this library but some experts that can be hired ‘off-the-peg’ to discuss art, culture and society, contemporary craft and hobbies. To complete the Salisbury Contemporary Craft experience, a range of delicious, locally produced foods are available each day in the Refectory Restaurant and the Bell Tower Tea Rooms. Fair-trade coffee, fresh leaf tea, homemade scones, cakes and plenty more besides. After three successful years, the Festival is about to enter an exciting new phase. Rotary Salisbury who instigated and lead this initiative, are keen that it does not stay still and that new ways of connecting people and great craft and skill are explored. What has also been evident is the huge interest in seeing such a wide range of skill displayed in all the fantastic examples of design as well as in seeing the processes involved up close . 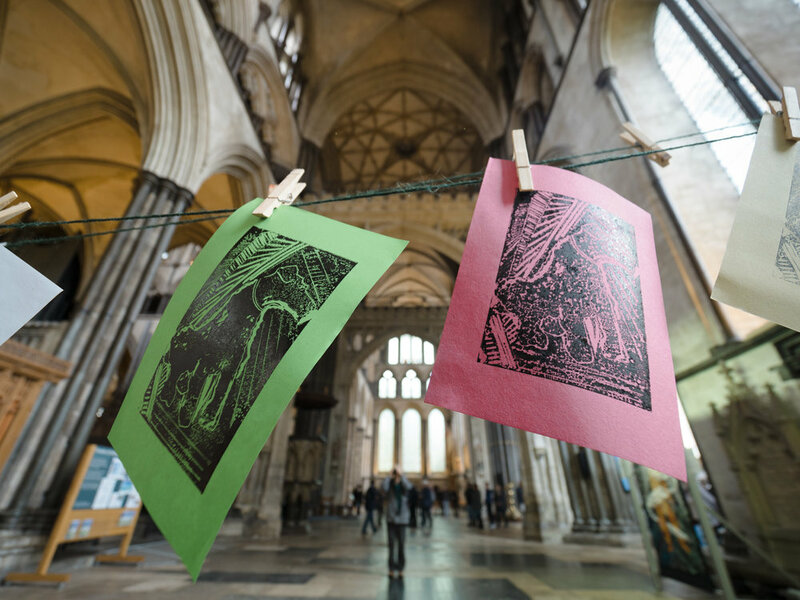 The visual setting and obvious historical connections to the Cathedral have been a key feature in the feedback from both makers and members of the public and the intention, therefore, is to make more of that link and host the Festival actually within the magnificent Cathedral environs. In order to facilitate these new developments, Salisbury Cathedral will lead the event, supported by Rotary and other partners along with our many dedicated volunteers as before. Now is an opportune moment to look afresh at and reshape the elements that have made this such an enjoyable and worthwhile event over the last three years. The opportunity is here to make more of both the heritage skills and the contemporary craft on show and to do this effectively and with greater rigour, it has been decided to separate out the event. Our two-day summer event will focus solely on contemporary craft on Friday 8 and Saturday 9 September 2017 and because of the time needed to develop new and exciting potential partnerships, a heritage skills focused event will run afterwards in 2018. We owe a huge debt of thanks to the work Patricia Dixon has done as the Events Manager for the Festival for the last two years and going forwards, we are fully hoping to continue using her expertise on the work of the arts outreach programme 'Craftivate'.